You may find it hard to believe that Taylor Swift never covered any major fashion glossy last year. Despite a British Vogue appearance at the start of this year, the singer hasn’t been a regular newsstand fixture in 2018, either. 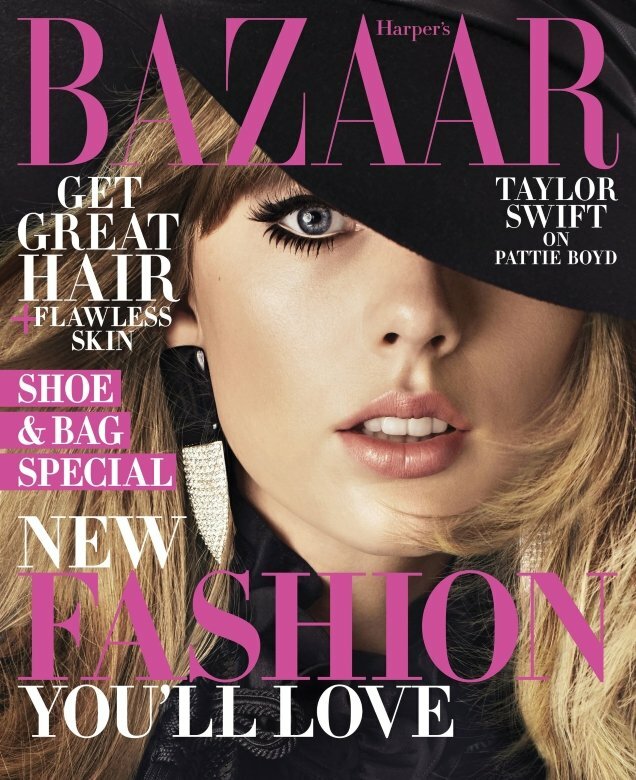 But things may be about to change as Taylor reminds us of her existence with the cover of the latest edition of Harper’s Bazaar. Her comeback comes almost six years after she made her debut on the title. Photographed by Alexi Lubomirski for August 2018, Taylor channels her inner 60s mod girl (with a little help from Joanna Hillman) as she’s made up to resemble her personal style icon Pattie Boyd for the occasion. Rocking Saint Laurent for the newsstand cover (below), Taylor also struck a pose in Gucci and Linda Farrow for the black and white subscribers’ cover. Did Bazaar‘s latest pass the test among our forum members? “As a whole, Taylor Swift is an attractive woman, but for me, her facial features aren’t strong enough to carry off a shot like this, where the focus is thrown entirely on the shape of her mouth or her eye,” commented tigerrouge. “HAHAHAHA my goodness. This is exactly why I somehow get it when celebs demand cover approval. You don’t want a terrible cover like this,” noted MON. “I just can’t with how terrible the covers are, especially the main one. Truly does make you wish for Bella, Gigi and Kendall back, and that is saying much! Editors should NEVER allow celebs cover approval, EVER!! !” Miss Dalloway echoed. “Oh my god. No. They’re trying to make Taylor look like a Seventeen model on the cover. But I don’t really expect something great when it comes to Harper’s Bazaar covers,” wrote crmsnsnwflks. “Kind of deer in the headlights but I still dig it,” voiced Piet Retief. Not everyone was left so completely unsatisfied. “Wait, is everyone here kidding? This is NOT so bad. I think she looks chic, yes 60s are very played out, we’ve seen this a million times and better, but Taylor looks good here and the images are nice. I’ll take this over everything else we’re seeing,” reasoned tomtakesphotos. See more from Taylor’s cover shoot and add your own two cents here.